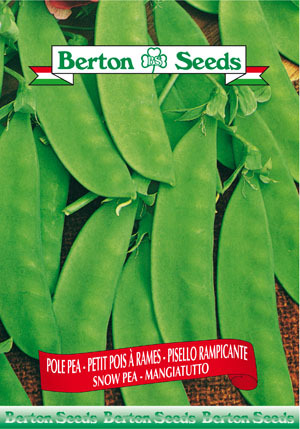 These peas produce flat edible pods with very small peas inside. Most commonly used in oriental dishes they can be steamed and eaten whole. They can be sown like regular pole peas along a fence. Trellises can also be used to support the vines that reach 5-6 feet in height. Sowing instructions: Plant seeds 1 inch deep from April-May. Space seeds 2-3 inches apart. Space rows 36 inches apart. Harvest from June-August.